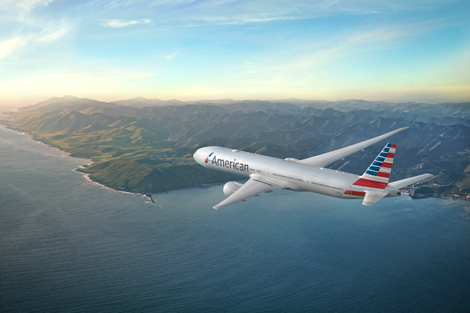 American Airlines has announced that it will launch a non-stop service between Los Angeles and Hong Kong from September 7. Booking for the new route will begin on March 20. A Los Angeles–Hong Kong route operated by AA has been on the cards since the start of 2016, but was delayed due to slot issues, reportedly. The Oneworld member will operate the daily service with its new B777-300ER. The Boeing aircraft, which we’ve reviewed here and here, features a three-class configuration, with eight seats in first, 52 in business and 250 in Main Cabin – of which 30 have been designated as Main Cabin Extra seats with extended pitch. Flight AA137 will depart Los Angeles International Airport (LAX) at 0155 and arrive in Hong Kong at 0810 the next day. The return service on flight AA138 will then take off from Hong Kong at 2020, before touching back down in LAX at 1840. AA’s new Los Angeles–Hong Kong service will be operated as a joint business with Japan Airlines, with the Japanese carrier expected to place its marketing code on the flights. AA also codeshares with Cathay Pacific on the latter’s four-times daily Hong Kong–Los Angeles service. “We announced new domestic Los Angeles routes at the end of January, and customers let us know they wanted more great service to even more destinations,” said Andrew Nocella, chief marketing officer for American Airlines.